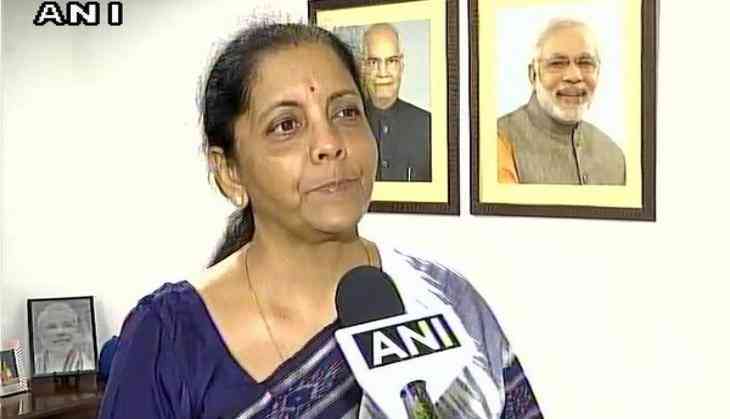 Union Minister Nirmala Sitharaman on 24 November slammed Congress vice president Rahul Gandhi saying that he was an expert in raising questions and not in answering any. Addressing the media here, Sitharaman further said that the Congress failed to form an image of responsible Opposition. "He is only good at raising question but never answers any. The Opposition is equally responsible to answer all the questions as the Centre. I think they have not understood the meaning of democracy in true sense," she said. She further hits out at the Congress scion saying he only reads out script during his speech. "He was asked certain questions by BJP President Amit Shah and Chief Minister Vijay Rupani Ji few days ago about Gujarat but he has not answered so far. It seems like he only reads the script written by his scriptwriter and does not even listen to questions," she added.